New driver, fairways, hybrids and irons from COBRA for 2019. Cobra has today introduced the 2019 KING F9 SPEEDBACK™ family, featuring drivers, fairways, hybrids and irons. For the first time in the metal woods category, the SPEEDBACK™ family of metal woods achieves true optimisation of aerodynamics and a low center-of-gravity (CG), delivering the longest and fastest COBRA driver and fairways. 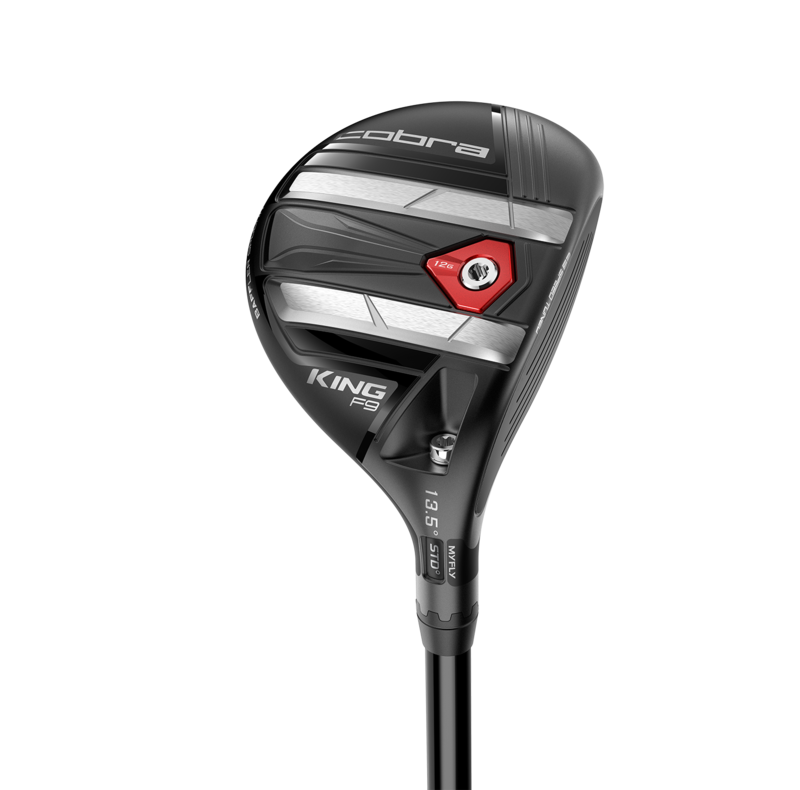 The KING F9 driver, features breakthrough SPEEDBACK Technology, which, for the first time in golf, successfully combines a highly aerodynamic clubhead shape with low CG. 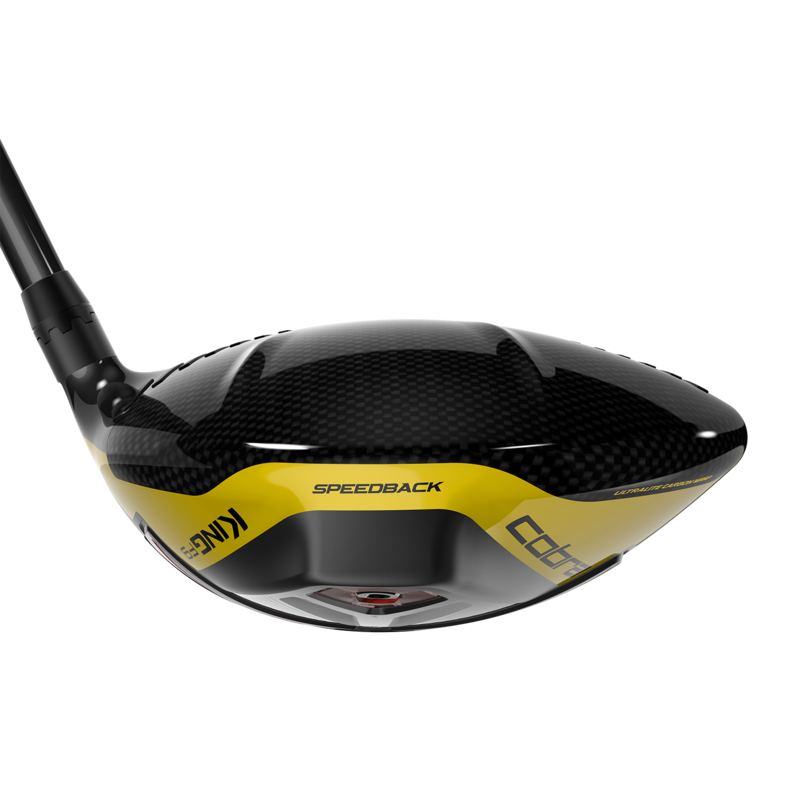 SPEEDBACK is a game-changing advancement in the way a driver is engineered. 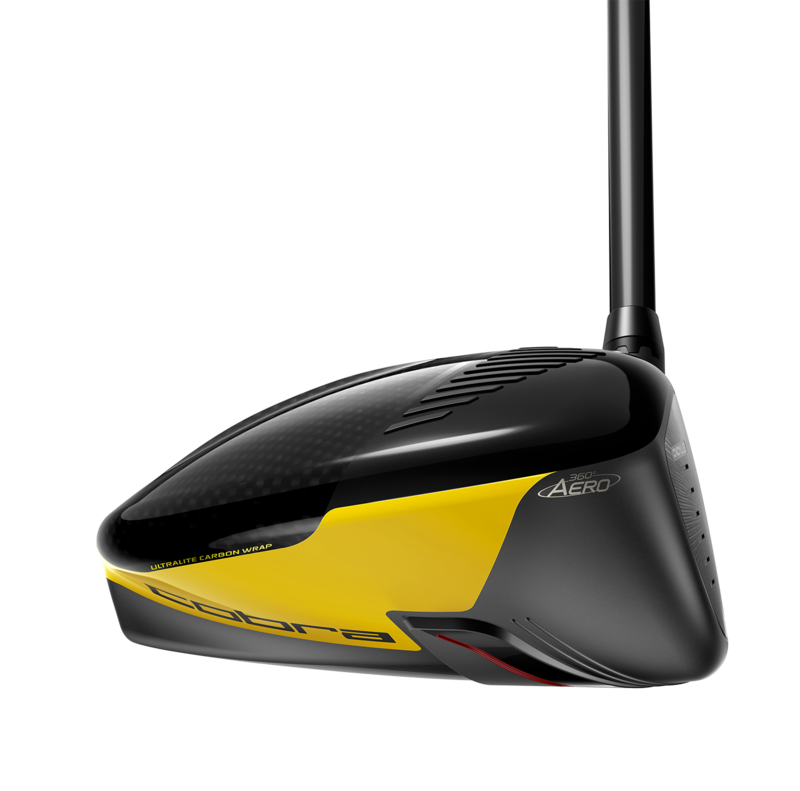 The combination of an efficient aerodynamic shape and an engineered weight structure on the sole, improves club speed while maintaining a low, deep CG to create the most efficient transfer of energy to the ball. 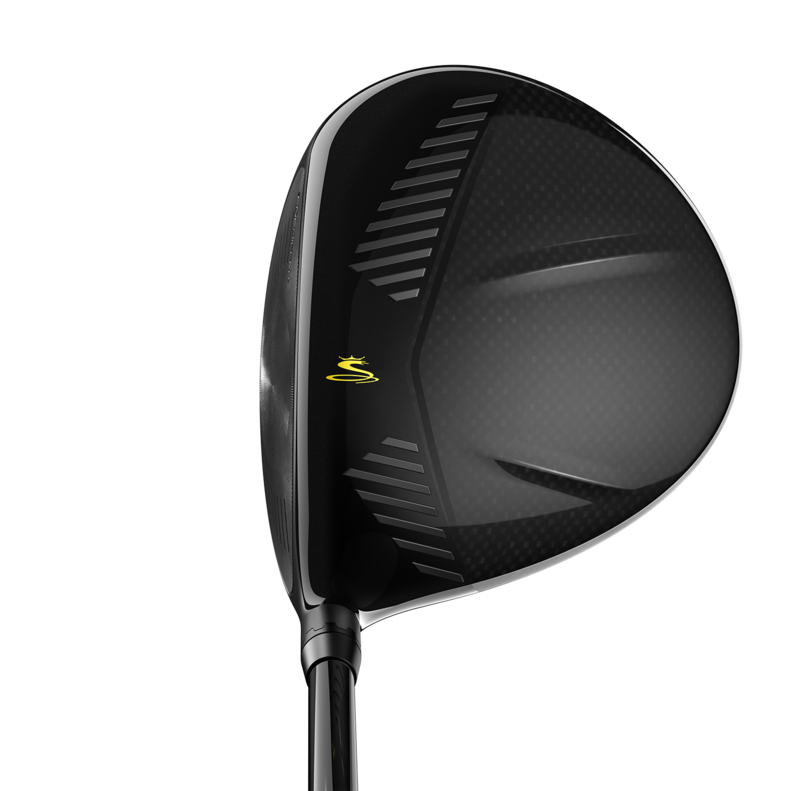 Continually pushing the boundaries of innovation, COBRA® engineers have developed golf’s first ultralight carbon wrap crown design that wraps around the body, delivering a 12% larger carbon fiber area, saving 10 grams of weight compared to a titanium crown driver. 360 Aero™ Technology utilises lightweight polymer crown trips and titanium sole trips positioned relative to the direction of airflow around the clubhead, further helping to reduce drag. COBRA® continues to utilise its proprietary, CNC Precision Milled driver face, which utilises a precise CNC milling process, to deliver its thinnest, hottest face repeatedly on every driver manufactured. CNC precision milling allows COBRA® engineers to achieve more precise face thickness and tighter tolerances compared to the manual hand polishing method used on traditional drivers, resulting in improved bulge-and-roll curvatures and a face that is 3% thinner and 10% lighter. The KING F9 SPEEDBACK™ driver (RRP £349) is constructed using a lightweight 8-1-1 Titanium body and face that spares weight, allowing engineers to position the CG low and deep. COBRA’s patented E9™ Technology features a variable thickness face designed with an elliptical pattern Sweet Zone™, creating more hot spots farther away from the center to maximise distance on miss-hits. 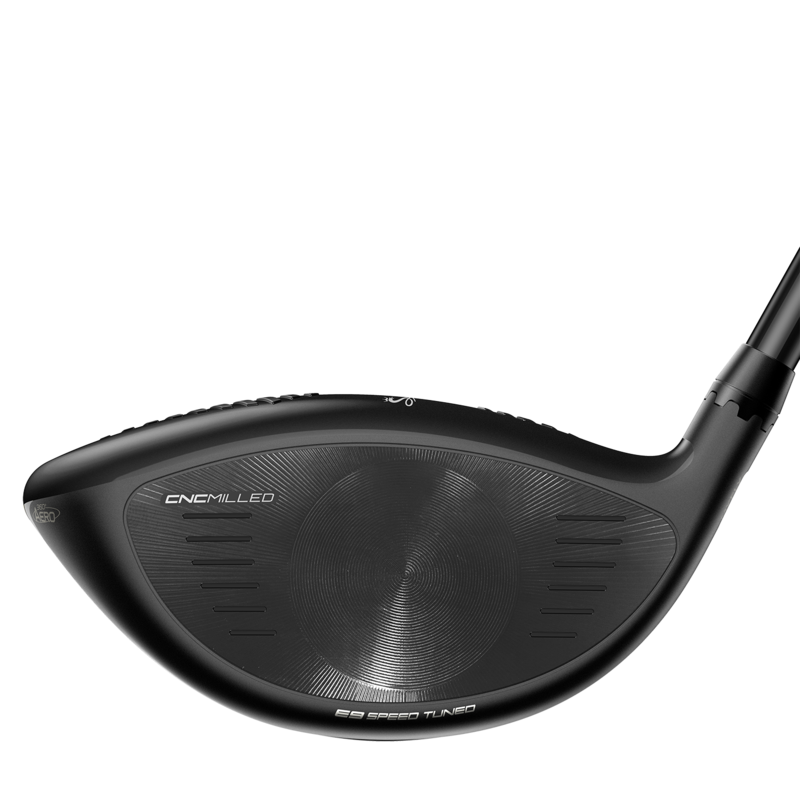 Dual Roll Technology™ optimises top and bottom face curvatures, which are CNC precision milled to exact specs on every driver, to minimise gear effect that negatively impacts launch and spin on misses. Additionally, three horizontal bulge curvatures are designed to optimise the face angle on the toe and heel to minimise slicing and hooking of the ball due to off-center impacts. Combining weight saving technologies into the design allows for an adjustable weight system (with interchangeable 14g & 2g weights) that can be used to move the CG in the front or back position to help golfers customise launch and spin characteristics to improve their distance. MyFly8® with Smart Pad® technology affords golfers the choice of 8 loft settings (and 3 draw) to fine-tune trajectory and launch conditions while Smart Pad® ensures a square clubhead at address. SPEEDBACK™ Technology in the fairway utilises a low, back tungsten weight and re-engineered Baffler® rails that move the CG low and deep, and improve turf interaction, to deliver more club and ball speed at impact. A fixed, 15g tungsten weight positioned low and back, promotes high, towering ball flights and maximum forgiveness. Progressive Baffler® Rail Heights are designed shallower in the lower lofted fairways and steeper in the higher lofted fairways to account for varying attack angles. 360 Aero™ polymer crown and titanium sole trips positioned relative to the direction of airflow around the clubhead, further help to reduce drag and increase club speed. An ultralight carbon fiber crown saves discretionary weight up high, to move the CG lower and deeper for higher launch with increased forgiveness. PWR Ridge™ crown designs add rigidity to the lightweight carbon crown structure to promote more energy return to the ball to maximise ball speed. It also comes available in a Tour version for better players. Available for both men, women and juniors, in a range of different lofts, shafts and grip options.